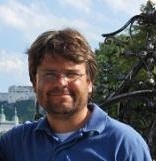 Diego Córdoba is a Research Professor at the Instituto de Ciencias Matemáticas (ICMT, CSIC). He obtained his PhD at Princeton, and was a Member of the Institute for Advanced Study Princeton, L. E. Dickson Instructor at the University of Chicago, and later Assistant Professor at Princeton University. In 2002 he moved to the CSIC. He was been awarded an Alfred P. Sloan Doctoral Dissertation Fellowship (1997-1998), the SEMA Prize (Sociedad Española de Matemática Aplicada) for young researchers (2005), and the Miguel Catalán Young Award 2011 from the Comunidad Autónoma de Madrid. In 2008 he obtained a Starting Independent Research Grant from the European Research Council (2008-2013). His research interest is focused on Partial Differential Equations, Analysis and Fluid Mechanics.